FILE PICTURE: Dina Pule. Picture: Michel Bega. Former communications minister Dina Pule should be docked a month’s salary, Parliament’s ethics committee recommended on Wednesday. It also proposed that she be reprimanded by National Assembly Speaker Max Sisulu. 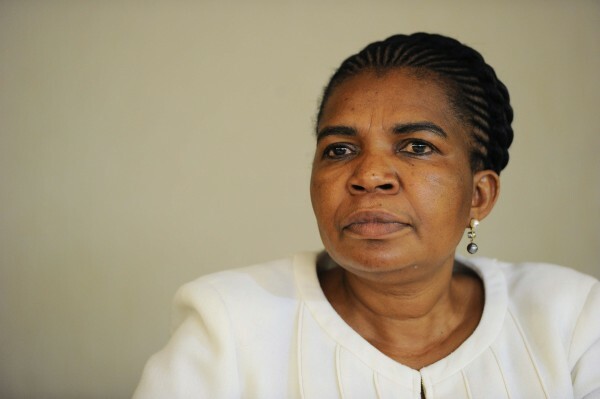 The full committee adopted a report by a nine-member multi-party panel which found Pule guilty of failing to disclose the interests of her romantic partner, Phosane Mngqibisa. He benefited financially from the sponsorship of last year’s information and communications technology event, the ICT Indaba, which her department hosted in Cape Town. “We found her guilty of failing to declare her relationship with Mr Mngqibisa. She failed to declare the fact that he received material benefits which are financial and otherwise and in failing to do so she broke the rules of the code of conduct of Parliament,” joint committee chair Ben Turok said. The panel’s report was sent to the National Assembly (NA) and Pule. Turok stressed the penalties could only be imposed if the NA approved the report. “We recommending a reprimand by the Speaker in the House, a 30-days’ salary equivalent fine, and 15-days’ suspension from all the committees in Parliament,” Turok said. Pule was sacked from Cabinet last month.